The Crimson ReLive update adds a whole range of new stuff. 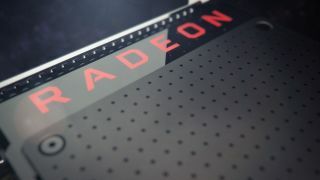 The latest Radeon Software update from AMD brings a whole bunch of new features which will be useful to streamers, video editors, and the average gamer. AMD's vision of pushing out yearly updates to its software is holding true so far after the release of last year's Crimson Edition and Catalyst Omega before that. It has now released the Crimson ReLive Edition, which improves and iterates on the previous version. The big addition here, as evidenced by the name of the update, is the addition of ReLive, which is essentially replacing the old AMD Gaming Evolved app. This is AMD's answer to Nvidia's Share (formerly known as ShadowPlay), and brings video capture and streaming features to AMD users. ReLive brings an in-app toolbar to your games which allows you to quickly record, stream to YouTube, Twitch, and others, or take a screenshot of the game you're currently playing. It also has an instant replay feature of up to one hour. Much like the Nvidia equivalent and the old Gaming Evolved, this feature records your game in the background and allows you to save the capture at the press of a button. Of course, for both the instant replay and standard recording features, you can tweak all of the encoding options, the resolution you record at, the bitrates, and so on. Plus, you can record the desktop, and with Radeon Pro ReLive you can also capture programs such as Maya, Premiere Pro, and other similar applications. AMD says ReLive has minimal impact on your machine, claiming just a 4 percent impact to average frames per second while recording in Battlefield 1, and a 3 percent impact to FPS when recording Overwatch. Other changes in the update include a brand new installer, which basically just changes the look to match with the main software and lets you know if a previous version is already installed. There are also some updates to FreeSync, the company's anti-screen tearing technology. Gradual refresh rate ramping has been added for notebooks and laptops, which AMD says will smooth refresh rate transition when switching between fullscreen and desktop apps. Plus, you can now run windowed borderless fullscreen with FreeSync enabled, and FreeSync 1.0 support has been added to Linux. New drivers added also include support for DisplayPort High Bit Rate 3 for RX series GPUs. Plus, Dolby Vision and HDR 10 support have been added, making for better brightness, contrast, and color which will make your games that bit nicer. Yet another new feature sees the framerate of your game dynamically adjusted in order to lower your graphics card workload and keep temperatures down. It's turned off by default, but if your PC is running hot, you could consider turning it on to keep things cool. If there's a lot happening on screen, it'll make sure you get the best frame rate possible, but if things are calmer, it'll reduce your frames while still maintaining a stable rate. Of course, with reduced workload, your graphics card will also consume less power too. The technology is only available for a handful of games right now, including the likes of Overwatch, Call of Duty: Infinite Warfare, and Deus Ex: Mankind Divided, but you can expect more to be added further down the line. Other, smaller updates include a new Radeon Setting upgrade advisor, which compares your PC's specs against the recommended specs of the games you're playing and advises you on what, if anything, needs upgrading. There are also a handful of bug fixes, and a neat new feature which tells you if a cable connected to your graphics card isn't working properly. AMD has called this update its "biggest software release ever," and it certainly seems that way with the sheer number of new features which have been added today. It's available right now from AMD's Download page if you want to upgrade.